Made for short runs, from your daily 5K to that spontaneous sprint, the Nike Free RN 2018 Women&apos;s Running Shoe is as flexible as ever. The innovative sole has an updated design, yet still delivers a comfortable, barefoot-like feel. Easily worn with your everyday outfit, or packed in a tote or backpack for a quick change, these are the most versatile in the Free RN family. So you can be up for anything. The upper material has elastane for a more dynamic, improved fit than before. Still lightweight and soft, the upper is easy to collapse, so you can quickly slide the shoe into your tote or backpack. Bottom is horrible design/rest of shoe is super comfy and sleek! So for running shoes the bottom is not ideal at all. Who would design the bottom with exposed slots/slits for pebbles and rocks to wedge up in there? Poor poor design!! Do the people who design shoes actually test them out and run in them? Not everyone runs on treadmills only. There is so much variation in terrain, road type, concrete and the little cuts/openings in the bottom are just asking for rocks and debris to accumulate. Major flaw. Hope 2019 is better and they change the design of the bottom. The rest of the shoe is awesome. Hugs my foot and super comfy. Order 1/2 size up though. Not true to size. I’m a true 8 and got 8.5. These shoes are so comfortable and they do make you feel like you’re barefoot! I highly recommend these! I usually wear a size 8 but I read the reviews and got a half size up and they fit perfect! 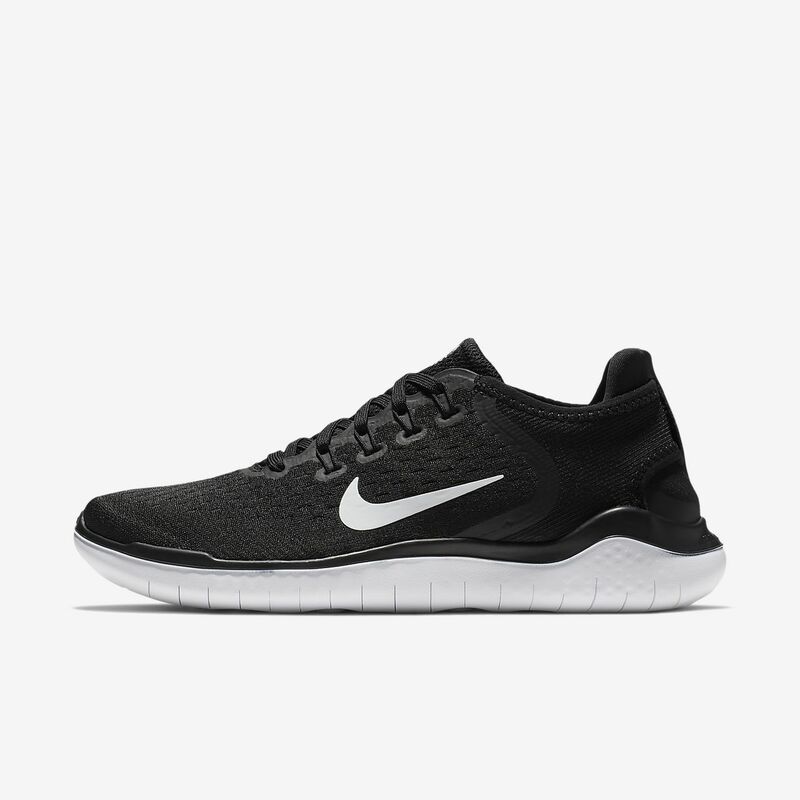 I have many pairs of Nike Free shoes and this pair runs small because the front of the shoe seems to be more pointed than that on the Nike Free 4.0, which seems to be discontinued now. See attached picture. It's a good thing that Nike has a good return policy. I bought a size 8 (when I normally wear size 7.5) and will be returning the size 7.5 shoes. I do love how breathable these shoes are though. The mesh has even more holes in it than the older Nike Frees.